The LA Weight Loss 2-Day Kick Start Plan is used during your first two days on the diet to jump-start your weight loss. 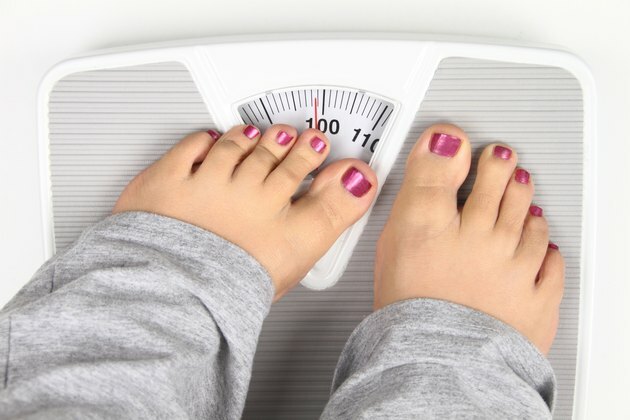 LAWeightLoss.com says you can use the two day plan every 14 days for the duration of your LA Weight Loss diet to maximize your results. Consult your physician prior to starting the LA Weight Loss diet or any other weight loss program. The juice is concentrated and should be diluted before you drink it. Mix one part of juice with one part of water to prepare the juice. You must drink 32 ounces of the prepared juice each day of the diet. Only the prepared juice and foods on the allowed foods list are permitted while on the two-day diet. According to LiveSTRONG.com's MyPlate, 4 ounces of the LA Weight Loss Take OFF juice contains 100 calories, 25 grams of carbohydrates and 1 gram of protein. Each serving provides 75 percent of your recommended daily allowance of vitamin B-6, vitamin B-12, riboflavin, niacin, folic acid, thiamine, vitamin E, vitamin D and panthothenic acid. The juice contains 70 percent of your RDA of vitamins A and C per serving. According to "Diets Exposed: Analysis of Popular Fad Diets," foods allowed in unlimited quantities include boneless skinless chicken breast, lean beef, shrimp, crab, lean cuts of red meat, tuna, salmon, tilapia, fat free cheese, fat free cream cheese, broccoli, lettuce, celery, cucumbers, cauliflower, bell peppers, cabbage, Brussels sprouts, mustard and vinegar. One tablespoon per day of the following foods are permitted: salad dressing, mayonnaise, ketchup, cocktail sauce, tartar sauce and cream. Healthy, balanced diets are the key to successful weight loss and long-term success maintaining a healthy body weight. The 2-Day Kick Start plan is not balanced a balanced diet because it does not include any fresh fruit or whole grains, and dairy options are extremely limited. Although losing a couple of pounds over the course of two days may be tempting, it is important to remember that the weight loss would likely only be temporary, according to the Weight-Control Information Network. Extreme or fad diets may sound good, but they often limit nutrients and are hard to stick with. Once you stop your restricted eating, weight is often re-gained. Living a healthy lifestyle is a lifelong journey without shortcuts.